As promised last month when they first delivered the Creative ZiiO 7 Android 2.2 update, Creative has now delivered the Android 2.2 update for Creative ZiiO 10! I have a Creative ZiiO 10 and will be updating it and maybe produce a video guide and upload it to youtube. This download contains an improved version of the firmware on your ZiiO 10" tablet, and is intended for firmware version 1.00.08. It includes the Android 2.2 operating system, updated applications and widgets, and several fixes. For more details, read the rest of this Web release note. 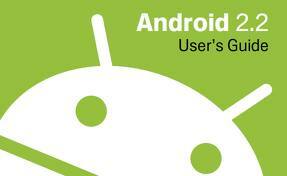 •Upgrades the OS from Android 2.1 (Eclair) to Android 2.2 (Froyo). •Adds the new Recovery mode. •Adds the new Amazon Kindle application (for selected regions only). •Updates the ZiiAcademy and ZiiStore applications to the latest versions. •In the Browser application, you can now set User Agent to Desktop or Mobile. •Allows application data to be moved from the system storage to the device media storage if the application supports it. •Updates the User Guide to reflect new features. •Adds eight additional language translations (Danish, Greek, Norwegian, Polish, Russian, Swedish, and Turkish) for the User Guide. •After installing this firmware, you will not be able to downgrade back to the previous firmware. •If you are currently using a live wallpaper, it will be reset after installing this firmware. Items (shortcuts) and widgets on the Home panel will also be reset. You will need to reselect the wallpaper and add the items and widgets back to the Home panel. •You can check the firmware version by tapping Settings > About. The firmware version is displayed under Build Number. 1.Back up the tablet contents. 2.Delete current widgets on the Home panel so that the upgraded widgets can take effect. 3.Ensure that your ZiiO's battery level is at 25% or higher. 4.Use Task Manager to close all applications. •You can install this firmware by downloading it directly to your ZiiO, or by downloading it to your computer first. 1.Download the Zii010_1_00_08to2_00_07_fwupd.apk file to your ZiiO. The file will be stored in your ZiiO's internal memory. 2.After the download is completed, tap the Zii010_1_00_08to2_00_07_fwupd.apk file in the popup box. 3.Tap Install in the popup box. 4.After the installation is completed, tap Open. 5.Follow the instructions in the dialog box that appears. Important: Do not power down your ZiiO during the firmware upgrading process unless you are instructed to do so. Note: After the upgrading process, your ZiiO will restart. The screen will go black for a while during this time. When the unlock screen appears, this means that the firmware upgrading process is complete. Please be patient. Tip: If the touch screen does not work when the unlock screen appears, press and hold the power button for 10 seconds to turn off the tablet completely. You may turn on the tablet again when you need to use it. 1.Download the Zii010_1_00_08to2_00_07_fwupd.apk file to your computer. 2.Connect ZiiO to your computer using the USB cable. If the USB connected dialog box appears on the tablet, tap Mount. Otherwise, go to the Notification panel and tap USB connected > Mount. 3.Copy the Zii010_1_00_08to2_00_07_fwupd.apk file to your ZiiO (either in the internal memory or an inserted memory card). 4.On your computer, safely remove your ZiiO device in Windows. Next, go to the Notification panel on your ZiiO and tap Turn off USB storage > Turn Off. Then, disconnect ZiiO from the USB port. 5.With the use of ZiiExplorer, navigate to the location where you copied the file to, and tap it. 6.Tap Install in the popup box. 7.After the installation is completed, tap Open. 8.Follow the instructions in the dialog box that appears. If you encounter any problems installing this firmware upgrade, please contact Technical Support. any discomfort the following few days. If your hair is long and strong, you can go for any kind of style that suits your face or personality the best.